How to appoint group officers. 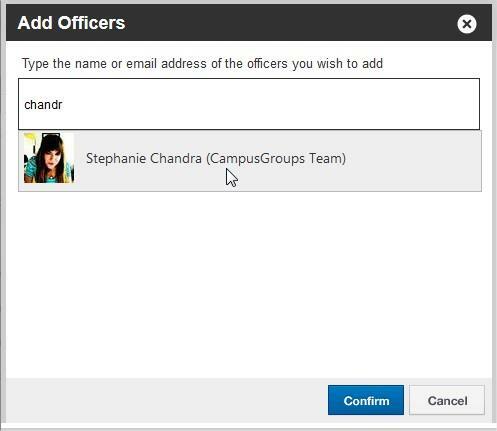 Add officers to your group and allow them to manage your group, create events, send emails, etc. - Using the Search Box. - Using the Group's List of Members. 1st way- Using the Search Box. a) Click on "Dashboard" ("Manage" tool bar) and then on "Officers". b) Click on "Add Officer". c) In the text box, enter the name of the officer you wish to add and click "Confirm". 2nd way- Using the Group's List of Members. a) Click on "Members" ("Manage" tool bar). 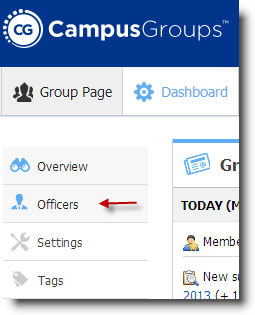 b) Search the members you want to appoint as officers and then click on the "Officer" checkbox next to them.